On Wednesday morning, a pregnant raccoon crawled into a car in Manatee County and gave birth to two cubs in the backseat. 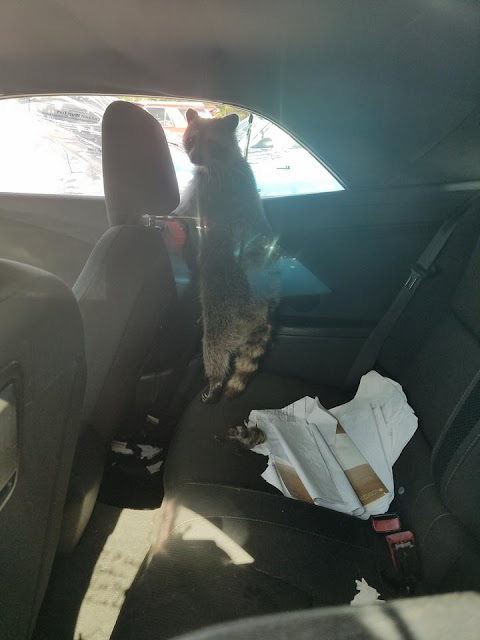 Devon Straight, who works with Wildlife Inc., a nonprofit rescue and rehabilitation organization based in Manatee, was called out to rescue the raccoon and her newborns from the vehicle. He said the experience was an unusual twist on his other daily rescues. The babies’ birthplace was an automotive detailing shop along U.S. 301. 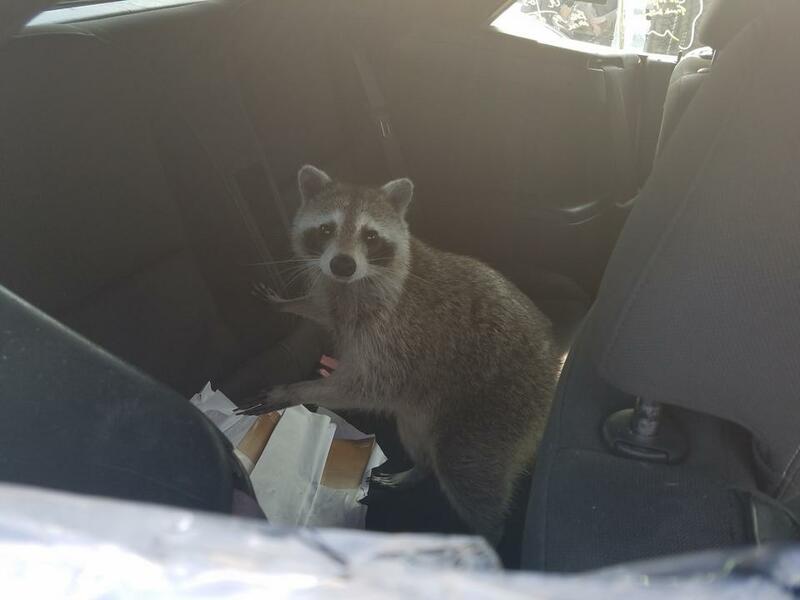 Seeking refuge, the mother raccoon entered through a plastic cover on the car’s window. When she finally got in, she and her cubs were sure to cause a bit of mischief. Straight says only one baby was present initially. 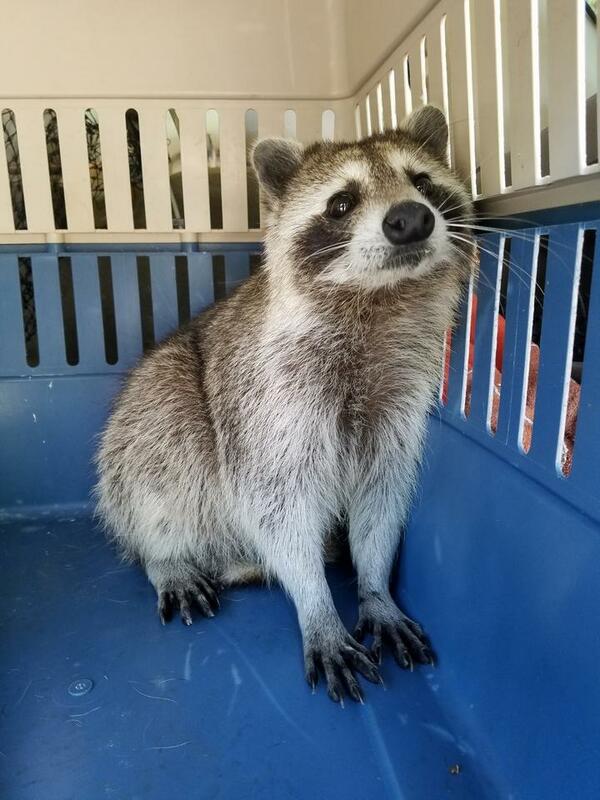 But raccoons usually have between three and five babies per litter and he couldn’t find any other newborns. 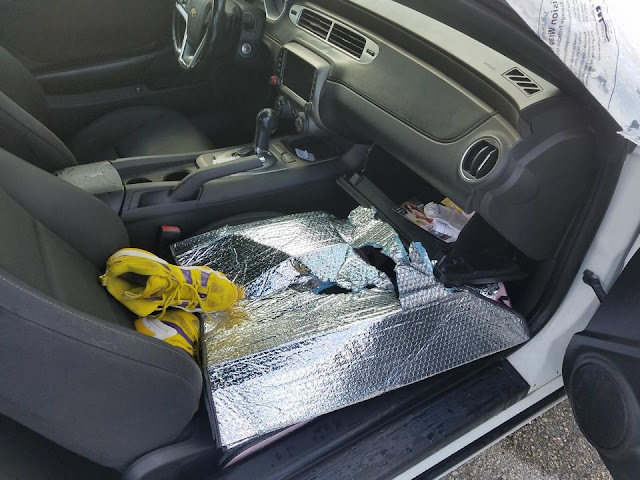 He and two employees of the auto shop looked through the car’s cabin and turned up with nothing, until they thought to check the trunk. But there was a problem. It wouldn’t open. 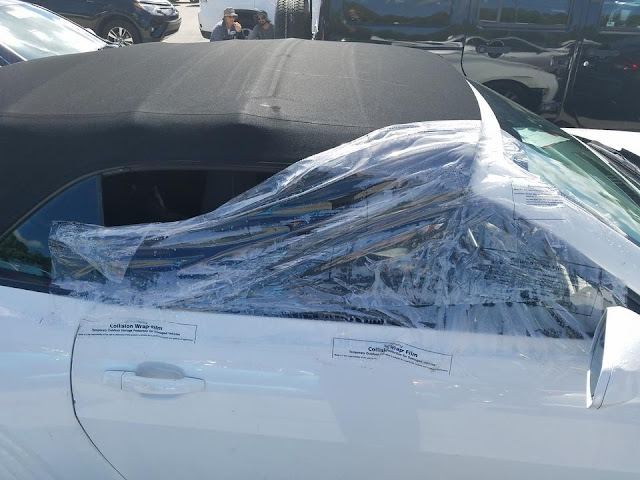 Finally, they discovered the convertible’s top wasn’t up all the way. Straight found the second baby raccoon in the trunk, soaking wet in a puddle of water. Deeming the new family to be healthy, Straight transported them to a wooded area away from humans and released them into the wild. The mother, still shaken, darted out of the kennel and into the forest without a second glance. She quickly remembered her babies and came back for her offspring. Straight said that while raccoon litters are typically larger, the mother could still be pregnant. Let’s hope that she doesn’t work her way into another vehicle for round two. 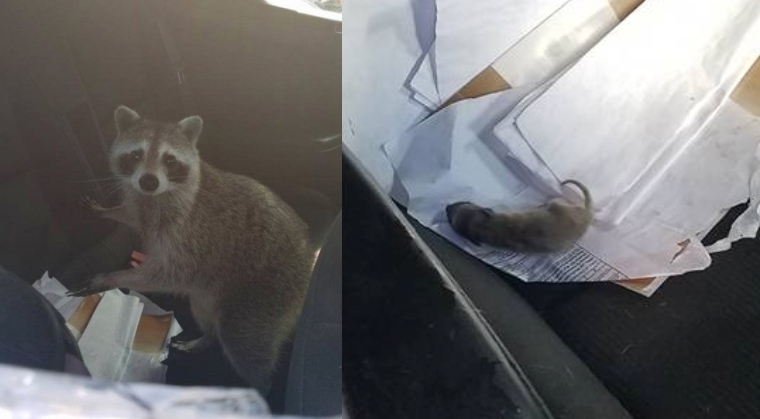 Responses to "Clever mama raccoon breaks into car to give birth"